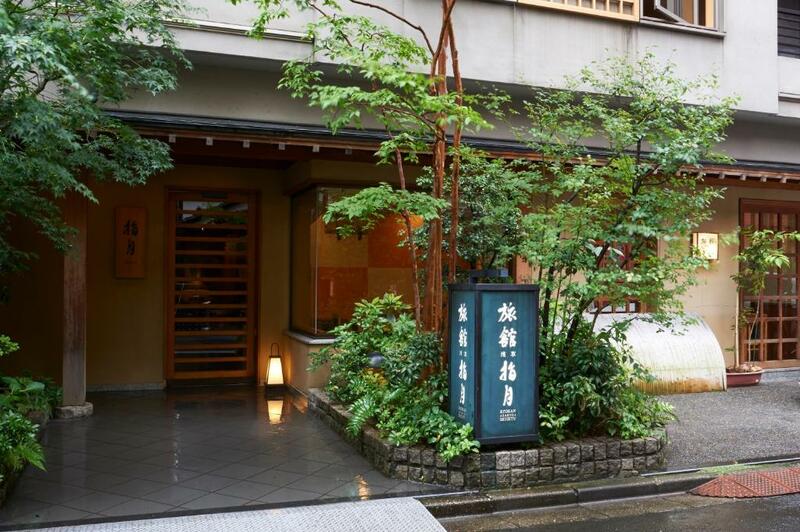 Lock in a great price for Ryokan Asakusa Shigetsu – rated 8.9 by recent guests! Very close to Senso-ji and many restaurants. Metro lines were also within a 10 minute walk. It's located in a great area. The staff were friendly. Not too far from the train station. 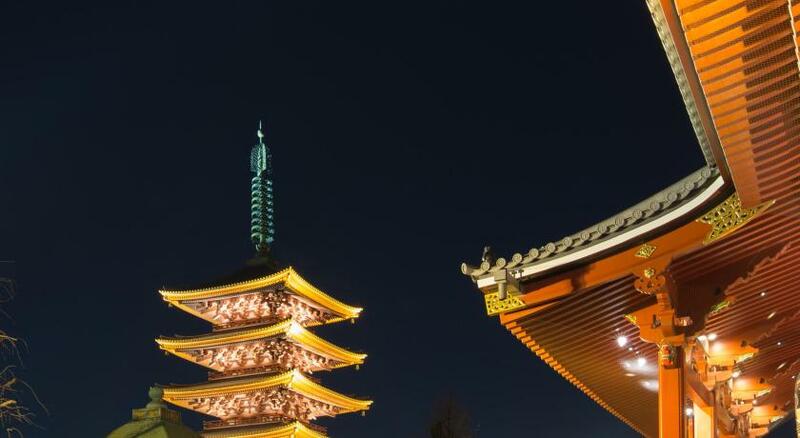 At night time, you can get a great view of the Temple and Skytree. Lovely stay in Japanese ryokan with authentic rooms. We had 2 rooms and one was lovely for 2 people. Nice public bath on the top floor. Location was in a lovely & bustling tourist part of town. The staff was wonderful! They were extremely accommodating and friendly. They took my luggage before check-in time, and helped me contact another ryokan to request transport. Communication was easy as the three staff members I interacted with all spoke English well. The public bath was small, but very tastefully set up. The temperature was just right. Likewise, the room was small, and I would rather use the term ‘cozy’ because it was also beautiful in its simplicity. The heating was efficient, the futon thick, and I slept like a log. I did not expect the location to be so perfect either. 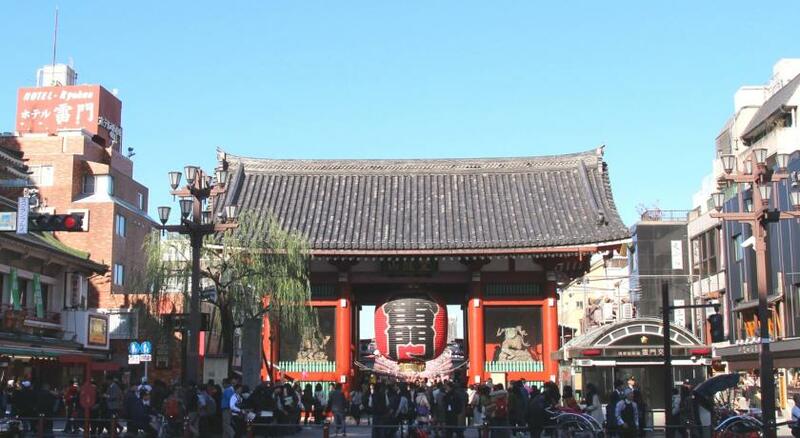 It was right next to Sensoji Temple and only a few minutes from Asakusa station. Lots of food options as well as souvenir shopping. My husband and I booked our stay here as we enjoy experiencing the culture of the country we are visiting. We did not expect to be as comfortable sleeping on the floor as we do on a mattress but this was our error. When we mentioned this to the staff they arranged for additional mattresses and we were able to sleep a little better for the next two nights. 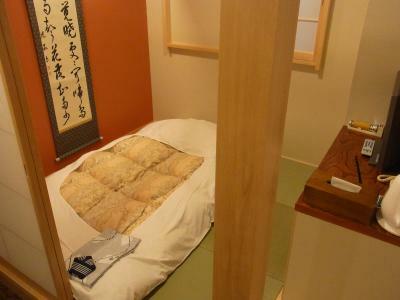 If you are booking your stay at a Ryokan please understand you are almost sleeping on the ground. The staff at this Ryokan were absolutely adorable, attentive, and very friendly! Loved the traditional Japanese amenities and general atmosphere of this place. Sleeping on a futon and a tatami mat floor is something I'm not used to and don't get the opportunity too often. The staff was really nice and helpful. I loved the traditional Japanese breakfast I was served. Would definitely stay here again. By far the #1 selling point: Location, location, location - cannot be beat! Steps away from the Sensoji Temple and Nakamise shopping street, and Asakusa train / subway station which has direct train to Narita airport. 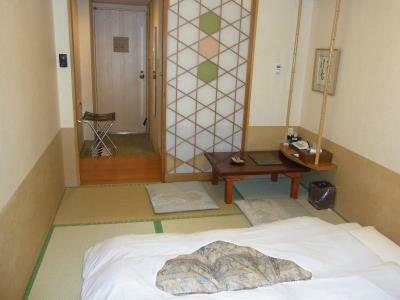 #2 the room is excellent: traditional tatami mats, and very clean. We stayed in the executive suite 6th floor which accommodated 2 adults and 2 children. There is also a "public" onsen for guests which is a great experience. Loved the room, felt very comfortable and traditional. great location near asakusa subway and the breakfast was amazing! Great friendly staff, do wish I could have stayed longer! I would definitely come again of staying in this part of Tokyo and even if I was not as the subway links are really good also! 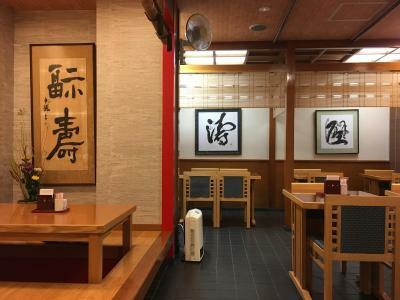 Ryokan Asakusa Shigetsu This rating is a reflection of how the property compares to the industry standard when it comes to price, facilities and services available. It's based on a self-evaluation by the property. Use this rating to help choose your stay! 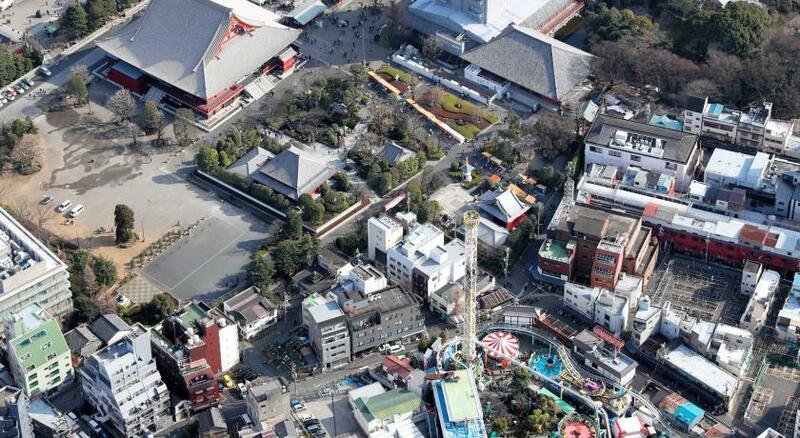 Located in the Asakusa area, Ryokan Asakusa Shigetsu has a history of 80 years. 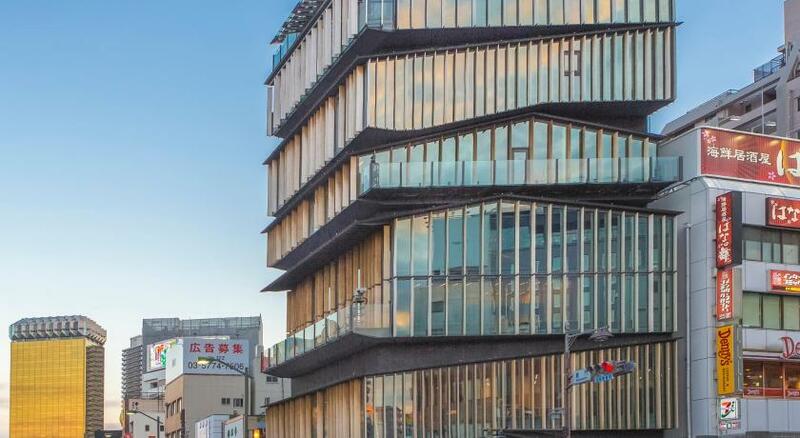 The accommodations features a view of the Tokyo Skytree from its Hinoki wood bath, a colorful breakfast and rice cooked in a rice cooking cauldron. 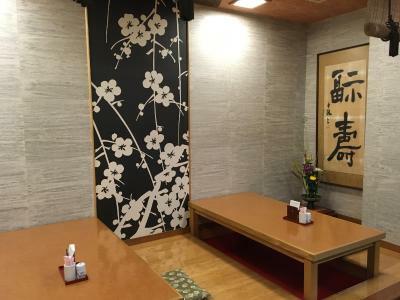 Ryokan Asakusa Shigetsu is located a 5-minute walk from Asakusa Subway Station, near Nakamise-dori Street and Senso-ji Temple. Asakusa Subway Station provides direct access to Ueno, Shibuya and Ginza areas, and also to the Narita and Haneda international airports. 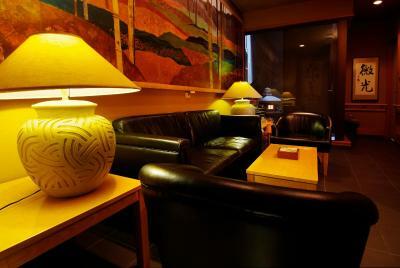 Japanese-style rooms and Western single rooms are available. Each guest room comes equipped with air conditioning, a satellite TV, a refrigerator and an private bathroom. Hairdryers, yukata robes, tea sets and mineral water are provided. On-site restaurant Ajidokoro Hozuki offers breakfast at an additional charge per person, which is served between 07:30 – 09:00. There is a bath for each gender on site and both the female and male baths offer a view of Senso-ji Temple’s Five-storied Pagoda. 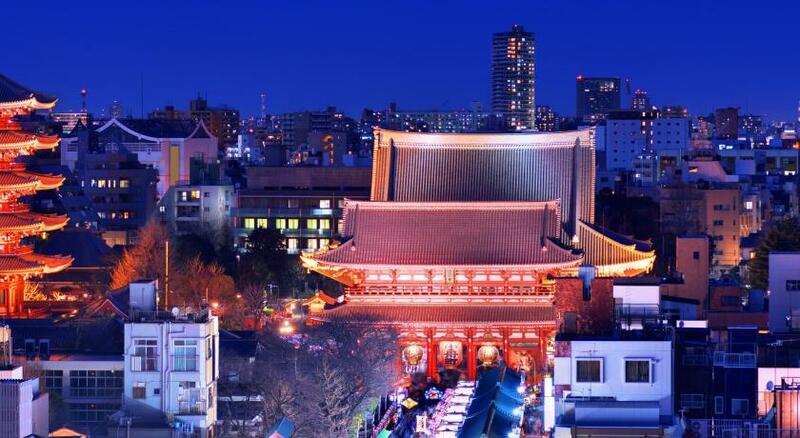 When would you like to stay at Ryokan Asakusa Shigetsu? Air-conditioned Western room with 1 single bed, a TV and a fridge. 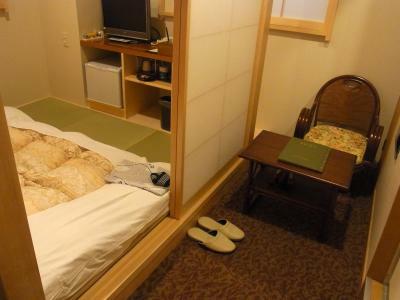 It comes with a private bathroom, and yukata robes and toiletries are provided. This room doesn't have a view. Renovated in April 2013, this room is located on the top 6th floor. It includes a balcony, TV, fridge and a private toilet and a shower room. Guests sleep on tatami (woven-straw) floors in Japanese futon bedding and can enjoy the view from the bath located on the same floor. Please note that breakfast is not included in this room rate. Guests can add breakfast at check-in. 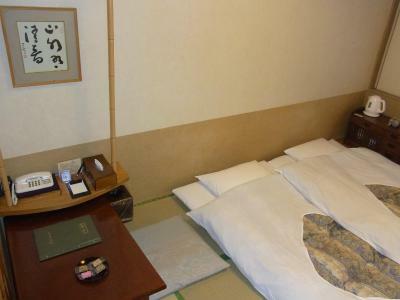 Room featuring a tatami (woven-straw) floor and traditional futon bedding. This air-conditioned room includes a fridge, a TV and private bathroom. Yukata robes are provided. There are no chairs. 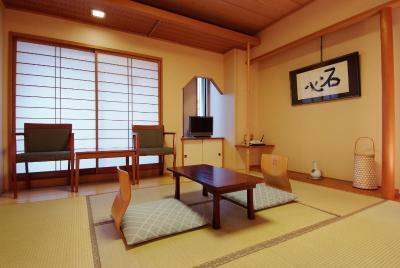 Spacious room featuring tatami (woven-straw) flooring and traditional futon bedding. This air-conditioned room includes a fridge, a TV and private bathroom. Yukata robes are provided. 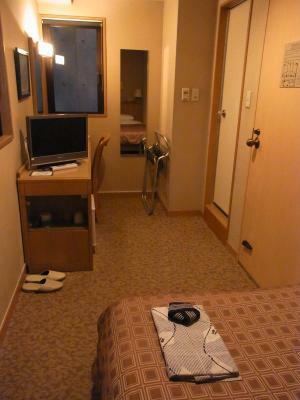 Air-conditioned Japanese room with 1 single bed, a TV and a fridge. 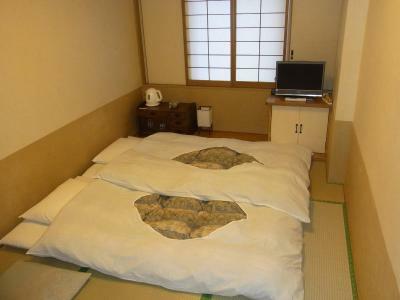 It comes with an private bathroom, toiletries and yukata robes. This room does not offer a view. 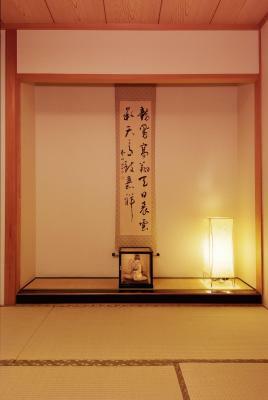 House Rules Ryokan Asakusa Shigetsu takes special requests – add in the next step! One child under 6 years is charged JPY 3500 per night when using existing beds. Ryokan Asakusa Shigetsu accepts these cards and reserves the right to temporarily hold an amount prior to arrival. An extra charge per night per child is charged for children using an existing bed. When booking 10 rooms or more, or for 20 people or more, different policies and additional supplements may apply. Please contact the property directly for more details. To eat breakfast at the property, a reservation must be made at check-in. Smoking is permitted in the designated lobby area. My one and only complaint is that the Western mattress is pretty old and you can feel the springs. However, it didn't hurt my back or anything. I wish I could give this place 7 stars. From being so clean and beautiful to having an amazing dedicated staff who is so patient with foreign tourists every day, to their cute onsen on the roof, they got almost everything right. Appreciate we wanted a traditional stay, unfortunately the room was tired and had a musty smell. The external noise of the building was the worst we have experienced on this trip to Japan, this being our 4th hotel. Great if you need an early start, 4.30 am . The hotel requested you stay out of the room from 10.30 am to 3pm, which isn't that practical when traveling long distances and you may need a midday recharge due to jet lag. Location and staff excellent, nice choice of Japanese or western breakfast. Seemed a bit expensive to not include any meals. Our daughters stayed in a room in the middle of the hall that was fine for them, but a bit plain. I enjoied every minute at this accommodation! The room was very cozy and super clean. Also the public bath was perfect for relaxation after a day pact full of sightseeing tours. The position of the Ryokan couldn't be better!! You need to go only few steps than you can see lot of beautiful attractions! I also loved the typical Japanese breakfast I got! This place was amazing. It is right around the corner from the temple. The room was very clean and quiet and the staff was very friendly. Japanese breakfast was superb. Would definitely stay again. Small things can be improved such as a functioning hairdryer or a proper rack for luggages. 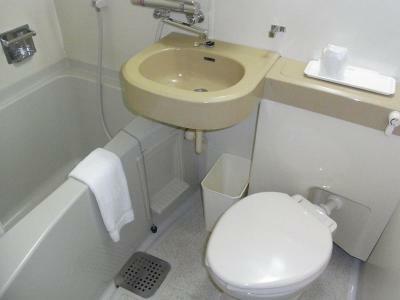 Toilet needs to be fixed as the constant running water can be irritating in the night time. The time for their staff to clean the room is between 10 am and 3 PM and we were told we cannot go into our room at 14:30, I personally think this window is a bit long. 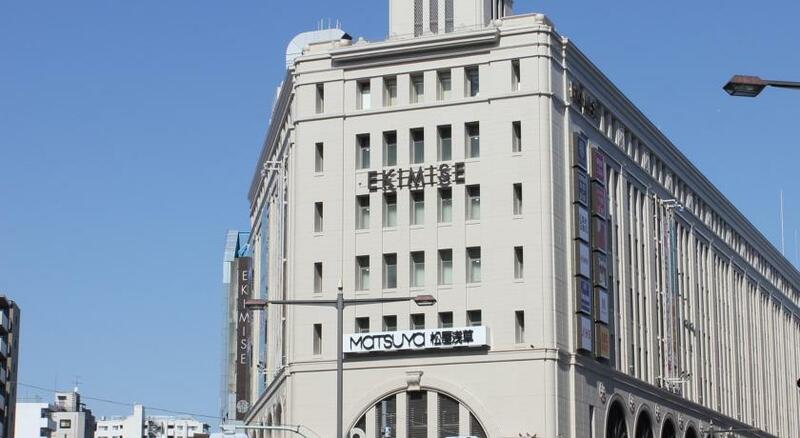 Very friendly staff and definitely a perfect location for Asakusa. Many shopping lanes and very authentic.